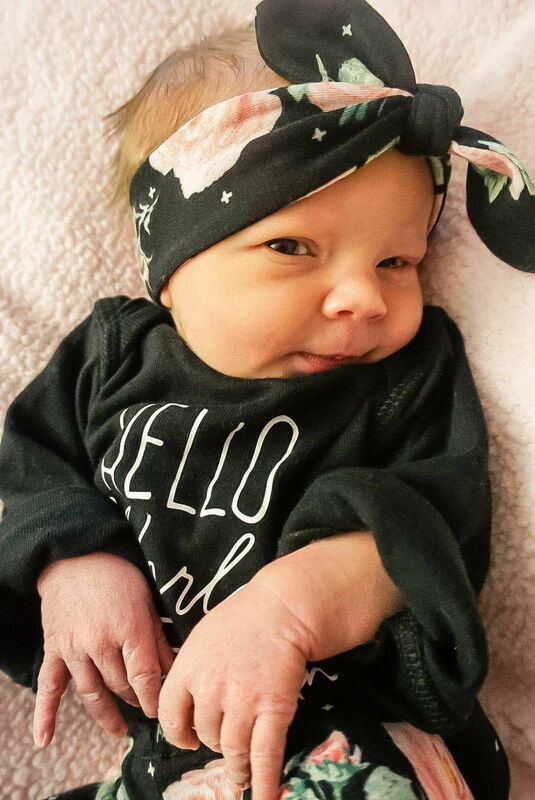 The first baby born in Council Bluffs this year was welcomed to the world by her parents at Methodist Jennie Edmundson Hospital at 6:35 p.m. Tuesday. Lisa Johnson and Darrian Irlbeck, of Avoca, are the proud parents of Evalyn James Irlbeck. She is the couple’s first child, weighing in at 6 pounds, 10 ounces and measured at 19 and a half inches. "She's kust a little thing,” Johnson said.